Meet my Scout quilt! It’s been a year since I finished it, but somehow I managed not to share it here. 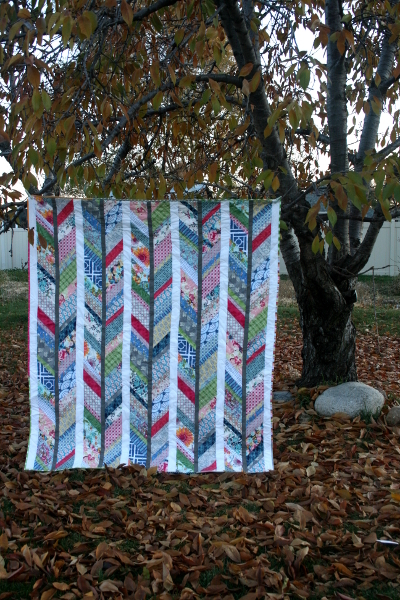 The pattern for the quilt is Scout by Cluck Cluck Sew, and you can purchase it here. 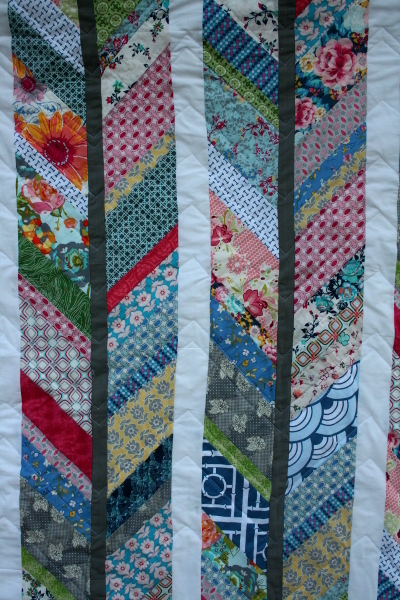 It’s a strip pieced quilt and comes together very quickly. 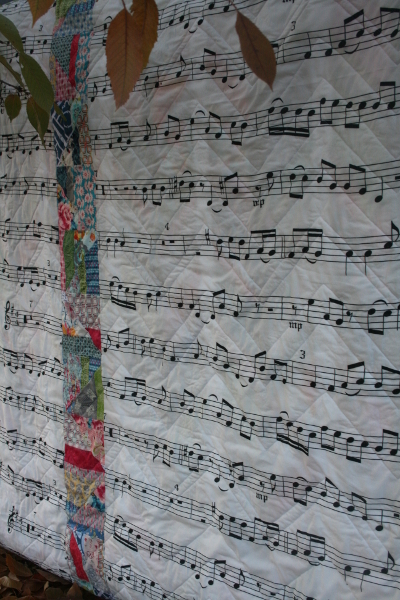 For my version I used mostly Art Gallery fabrics with a few other favorites added in. Lots of saturated color and flowers in this one! For the backing, I took the leftover pieces of my strips and made them into a scrappy strip to add to my backing. This large music notes print is an IKEA print that I stumbled upon. I haven’t seen it there before or since, but it makes a great quilt back! 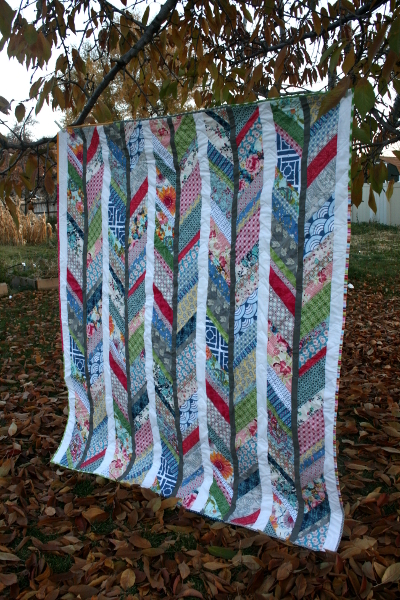 As you can see, I quilted it in a simple chevron pattern horizontally across the quilt. Nothing fancy. The binding is a scrappy one and makes me smile. I think it compliments the quilt well. 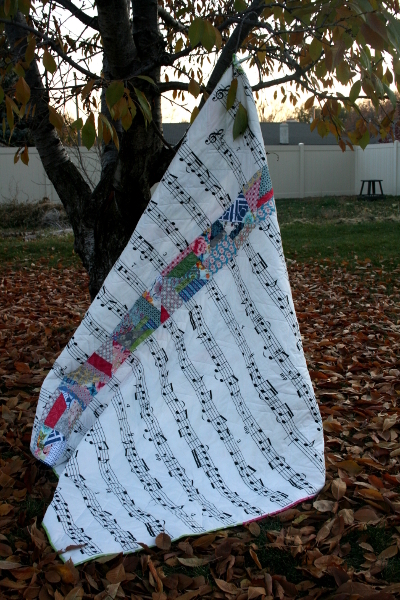 Much as I loved it, I chose to gift this quilt to an old friend of mine, who also taught violin lessons to my daughters for a couple of years. 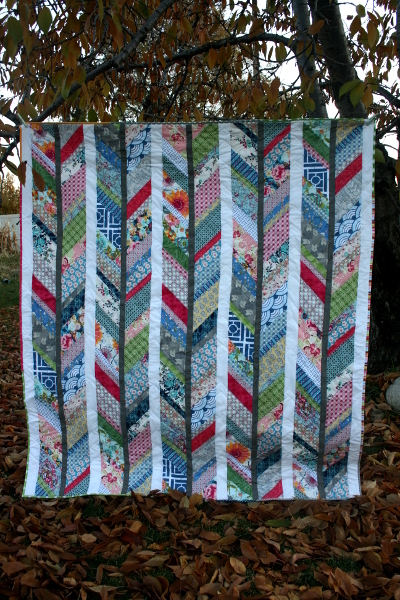 It felt like an appropriate gift of gratitude to offer her, especially with that quilt back! 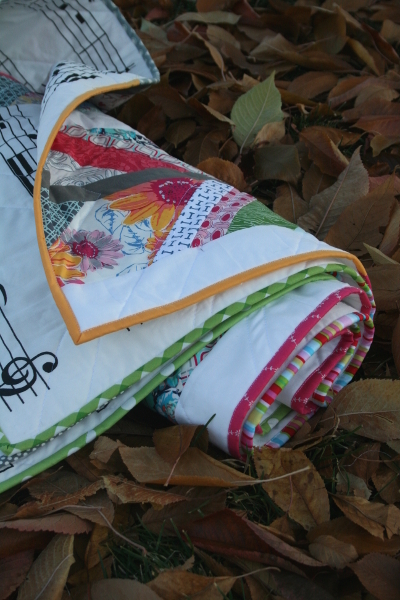 As the days grow short and the weather more blustery, I’m grateful for warm quilts to wrap around loved ones. I really love this hobby!